Looking for something fun to do with your Mom or Best Friend, or in my case my best friend is my mom, then do we have just the thing!! 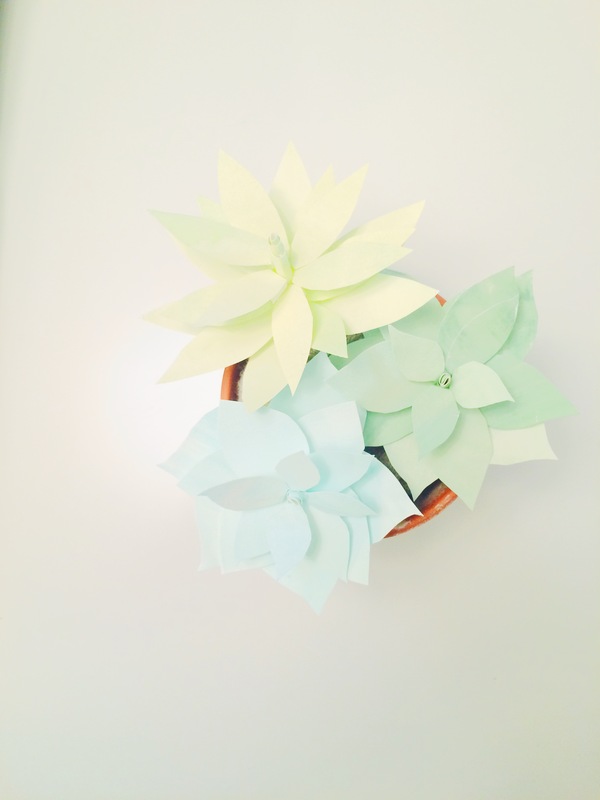 We are hosting a paper succulent workshop. 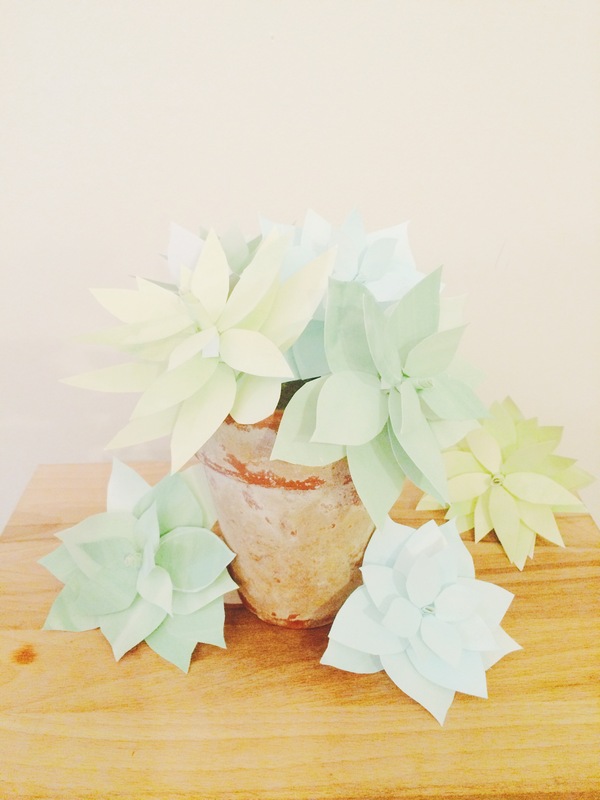 Come learn how to make succulents that you can’t kill!! 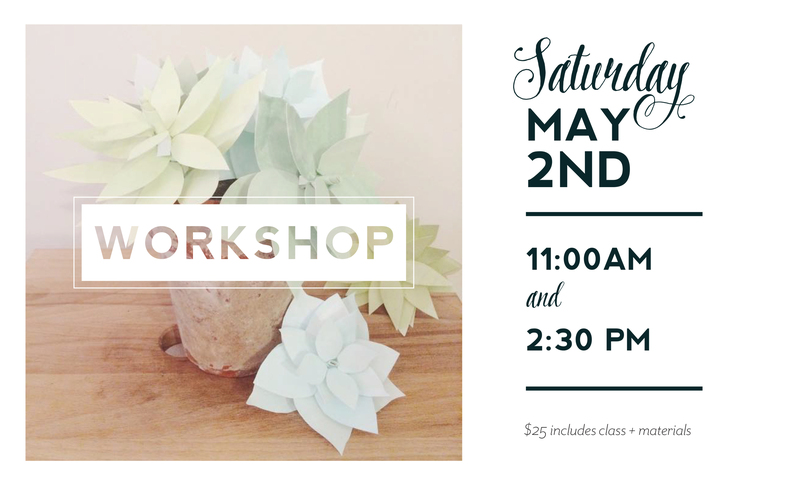 The workshop is Saturday, May 2nd. There are two classes available, one at 11 am and 2:30 pm, at our location in The Village, Meridian, Idaho. Workshop is $25 and includes all the material to make the succelnts! 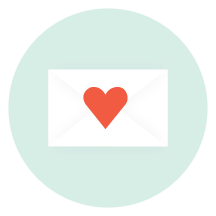 To sign up please call the shop at 208.888.7786 or leave a comment below with your email. Can’t wait to have you come and join the party!! Okay, Okay, We’ve been saying it for weeks now but it’s truly and officially Spring!! We couldn’t be more ready for beautiful walks to the park, bike rides in the neighborhood, and garden ready backyards to hang in! Here in Boise, all the trees are starting to sprout leaves again, and the tulips are peeking up from the ground. 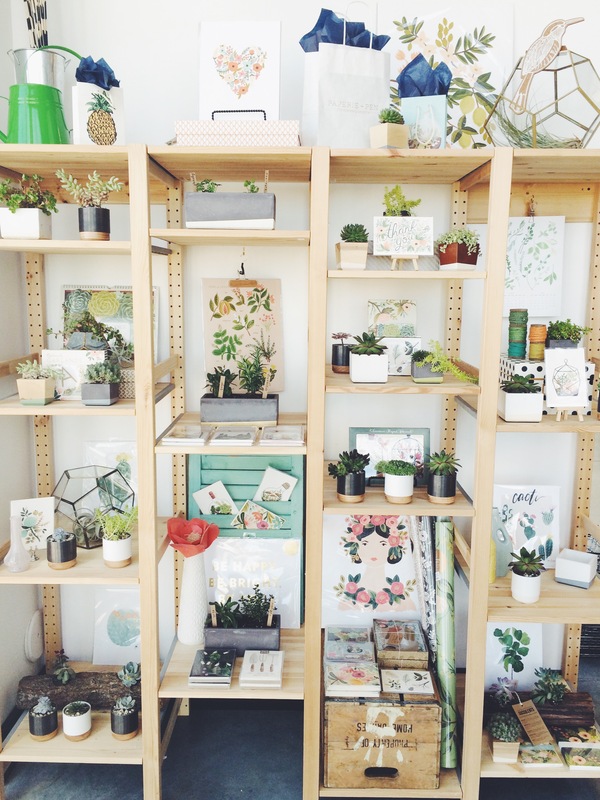 Here at the shop, we created the ultimate botanical corner. 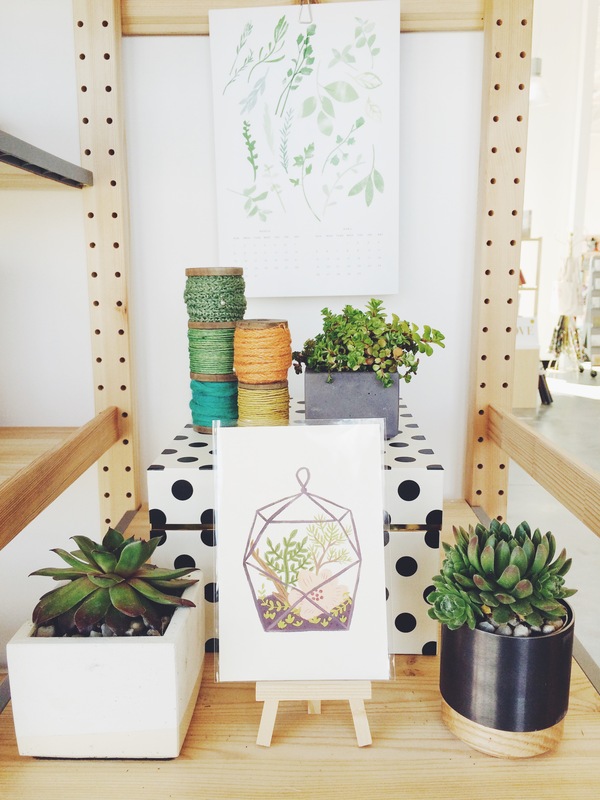 We also have a bunch of new botanical prints by some of our favorite Artists. 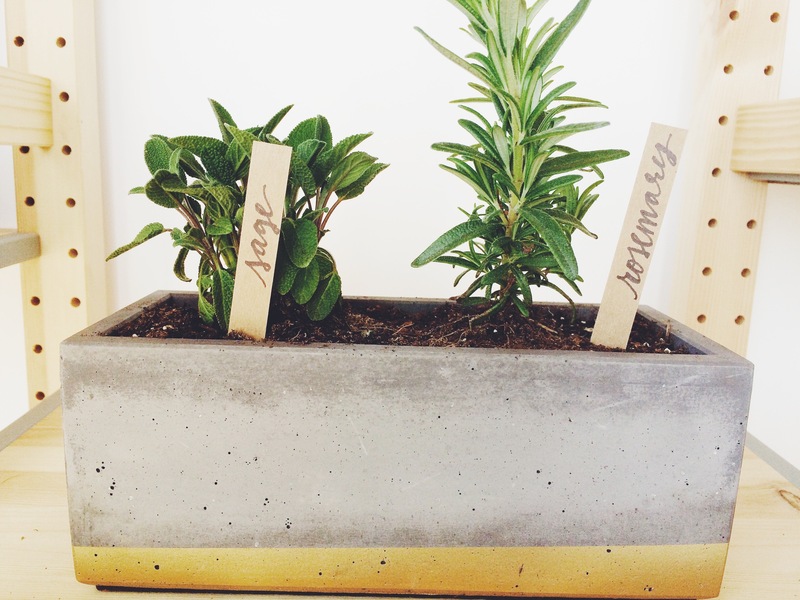 Our cute pots are planted with a variety of succulents and herbs. They are super easy to take care of add so much life to your home. 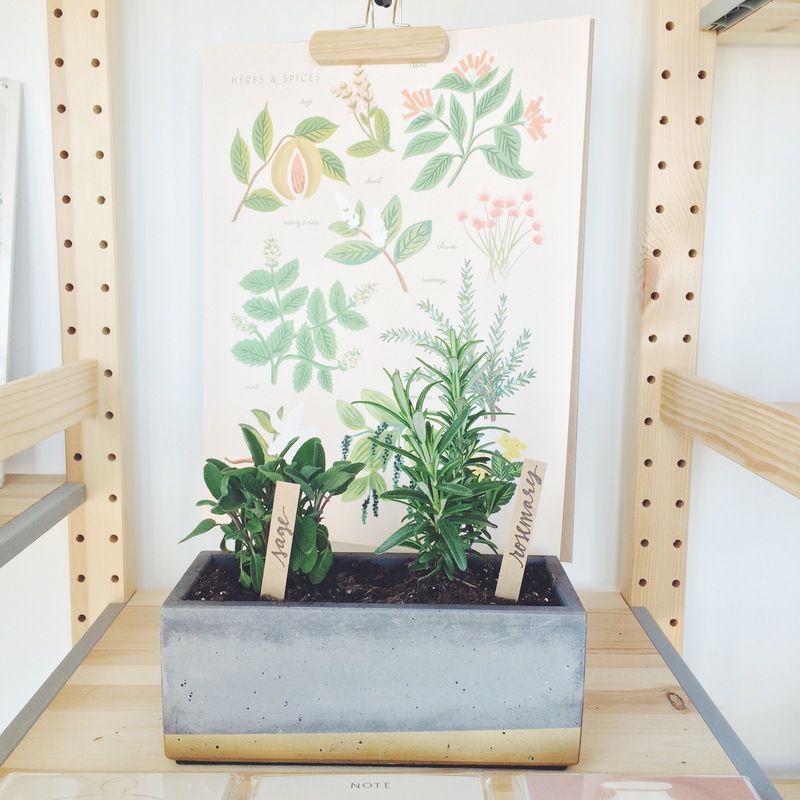 To care for your herb gardens, place them in a semi-bright place in your home. You’ll only need to water them once a week. We water ours every Friday. We also like to take a spray bottle of water throughout the week, and give them a little spritz. Keeps the leaves and stems fresh. Succulent care is almost easier than herbs and achieves the same liveliness. 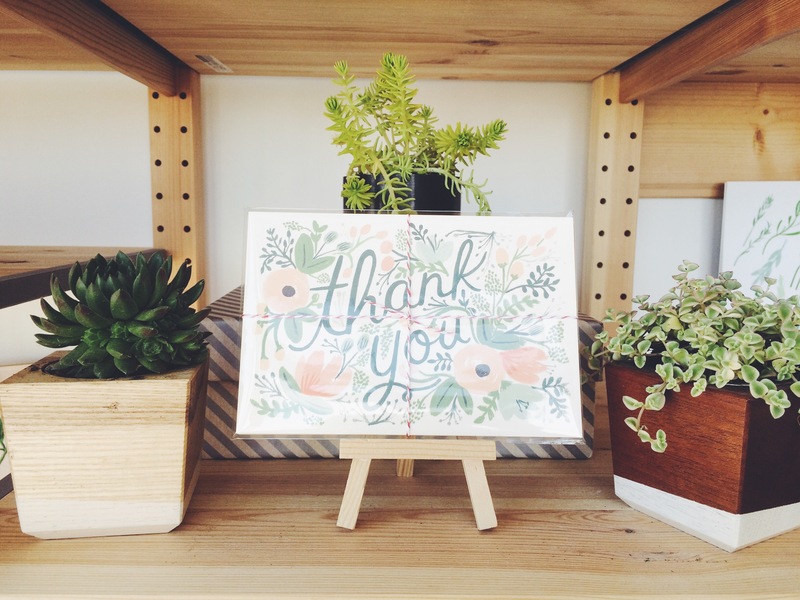 Succulents thrive in hot dry climates. If you’re local then you know winters aren’t so hot. 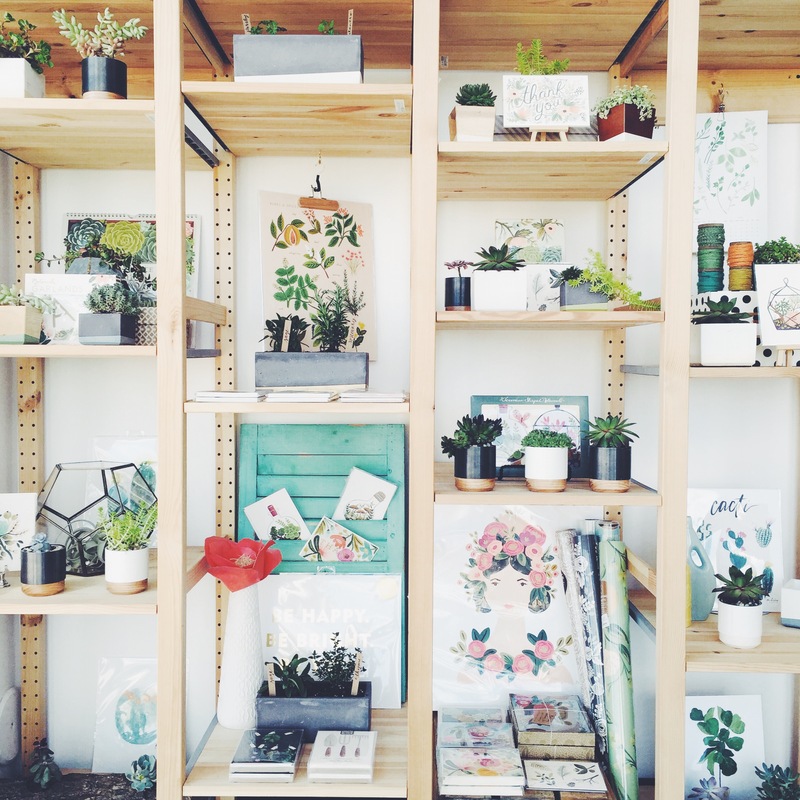 Keep your succulents in a bright space. Direct sun is best. Take that water bottle and spritz them once a week. Forgot to do it one week. That’s okay! Succulents are very forgiving and sometimes like it when you forget about them. 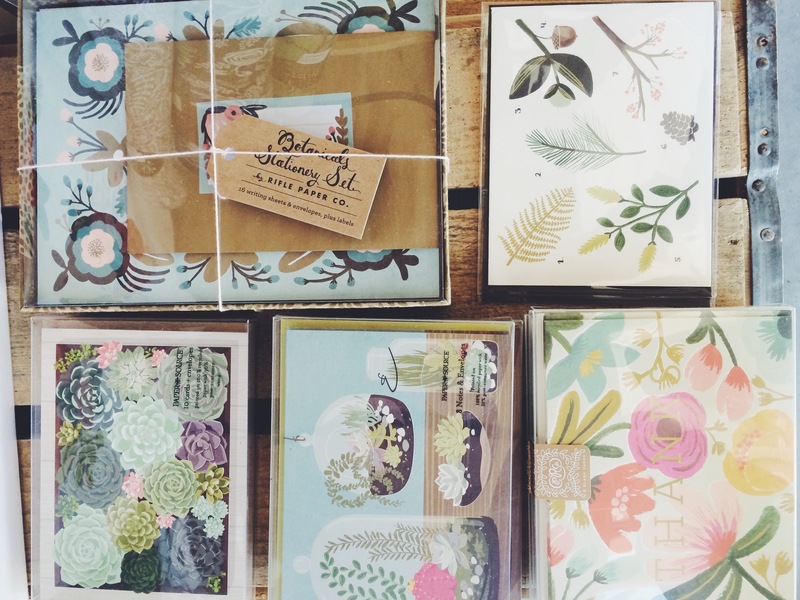 Just some of our stationery sets killing it with coolness! 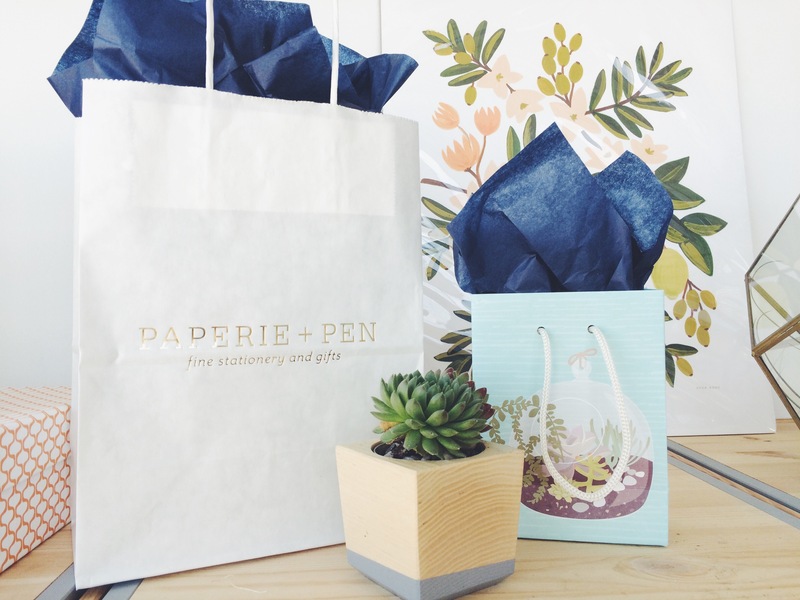 We also have botanical gift wrap that is making a statement! So much eye candy goodness. This corner has surely become our most favorite corner. If you are local come and check it out, it’s truly happiness!!! !